Hello everyone… Today was our first Gift Card Survivor Elimination draw. We had the difficult, but exciting task of pulling 110 participants from a pool of 220. We asked parents and students who were at Nox today to randomly select these 110 entries out of our cookie jar. We took photos and videos which are available for viewing. Unfortunately these entries are now out of the survivor pool, but they have 1 buy back available. You have up until Wednesday December 12 @ 5pm to buy back into the survivor pool. Please contact Ann at anntruong@gmail.com. The lists of all the eliminated participants are posted on the white board by the entrance at Nox Dojo. You may also check out the lists below to see if your entries were pulled out of the draw. If so, you are welcome to buy back into the fundraiser for $20. Thank you for all your support. Good Luck!!! 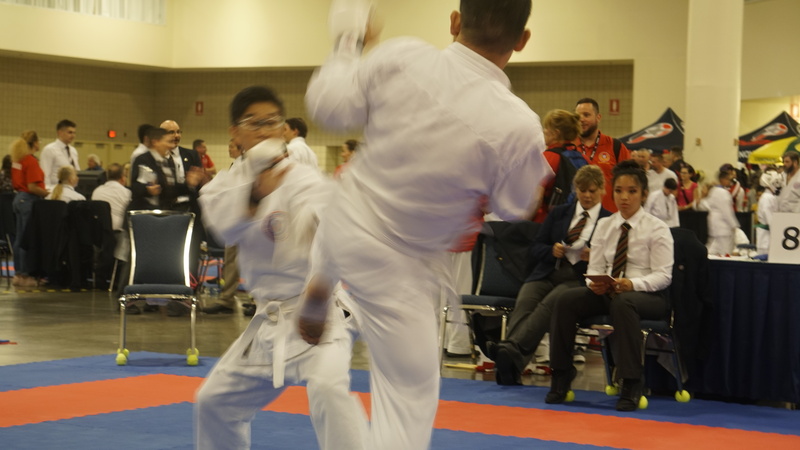 At the 3rd OKF qualifer, both Ryan Koo and Zachary Chin performed well with both boys having to compete against each other to make a showing on the podium. On this day, Ryan was able to take charge and overcome his team mate. 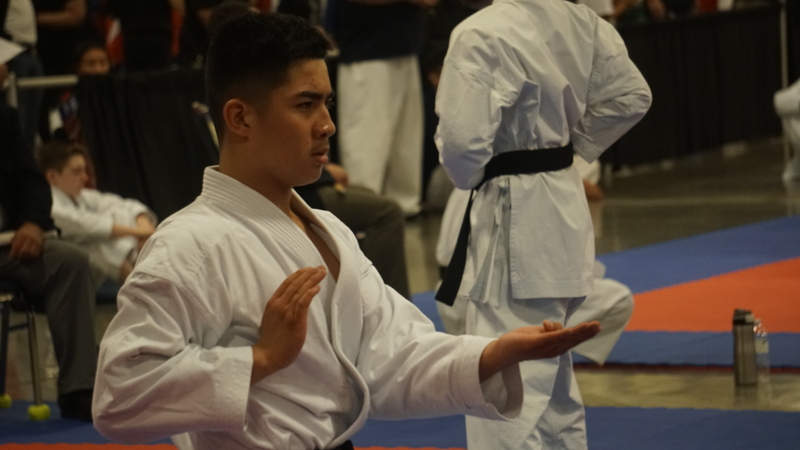 Ryan went on to win with the kata Anan to earn silver. Both athletes were tremendous in their efforts but sadly, in the showdown, only one could move up the ladder. As both boys leapfrog in making podium we hope they will both stand tall with medals at the next event. 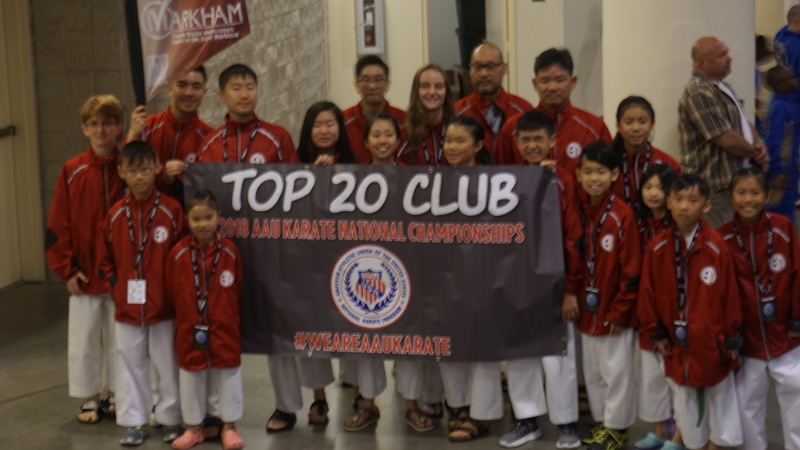 On June 28th – 30th, 18 athletes along with their families and coach ventured into the of heat competition at the AAU Karate National Championships to compete among America’s best karate athletes within the Amateur Athletic Union. The AAU was founded in 1888 in the USA and is among the oldest sporting organization in the hemisphere. It was, at one point, the representative of the Olympics for its country until the USOC was created. Since then, the AAU has been an athlete development program representing athletes within the school system nationally. 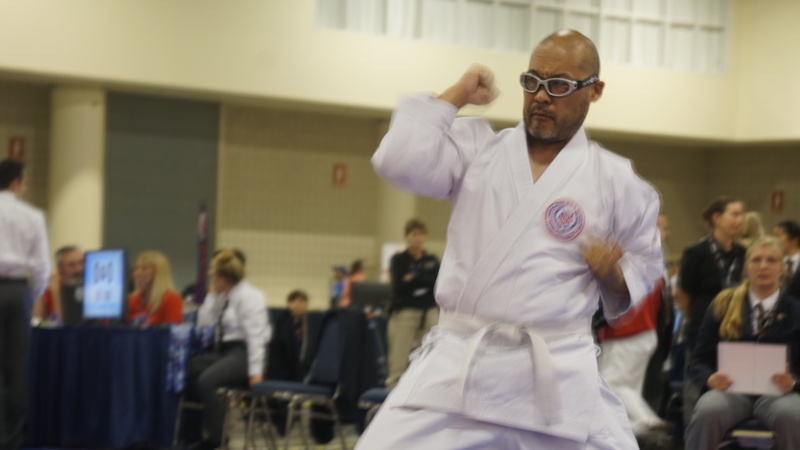 As a development program, AAU Karate has the liberty to have overseas athletes attend their national program for an inclusive and international event which means a greater competition base for the athletes. Countries like Romania and Serbia were also a part of the competition for 2018. 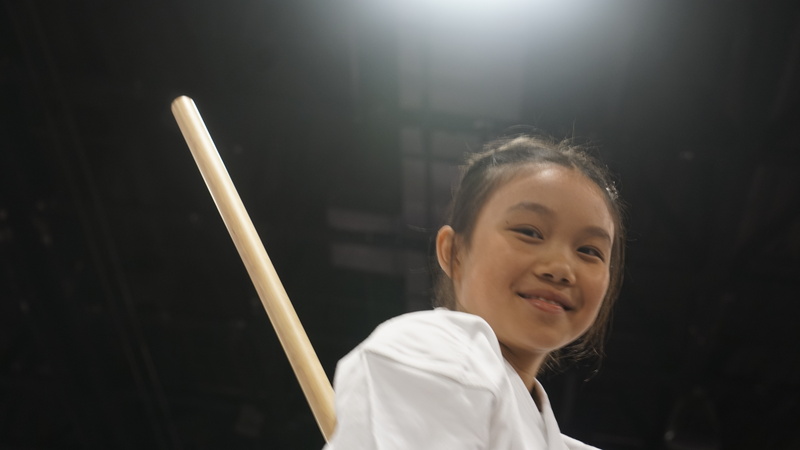 Team Meibukan’s athletes for 2018 is made up of beginner white belts to expert black belts from 7 to 54 years old. As with each and every year, our athletes challenge themselves to become the best that they can possibly be for that day. 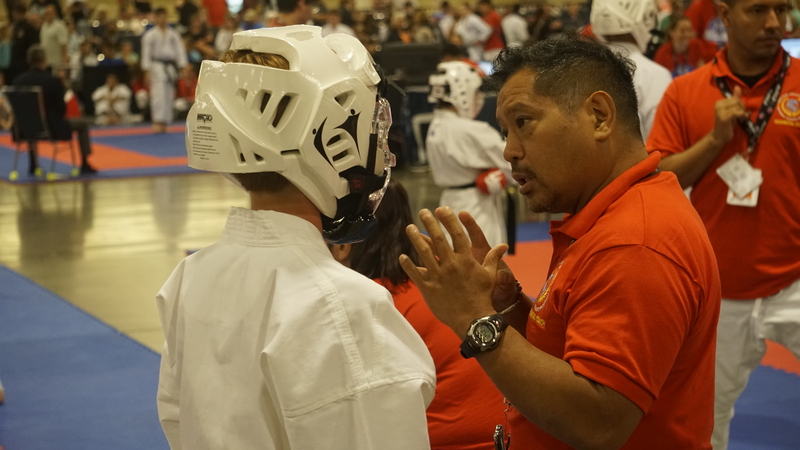 Fighting injuries, nerves, fear, fevers, and exhaustion, come with the territory of an elite level competition. Also however, so does meeting new friends, reaching new levels, creating healthy bonds, learning how to deal with challenges, learning how to support each other through difficult times. Because of this, there are no losers on Team Meibukan. 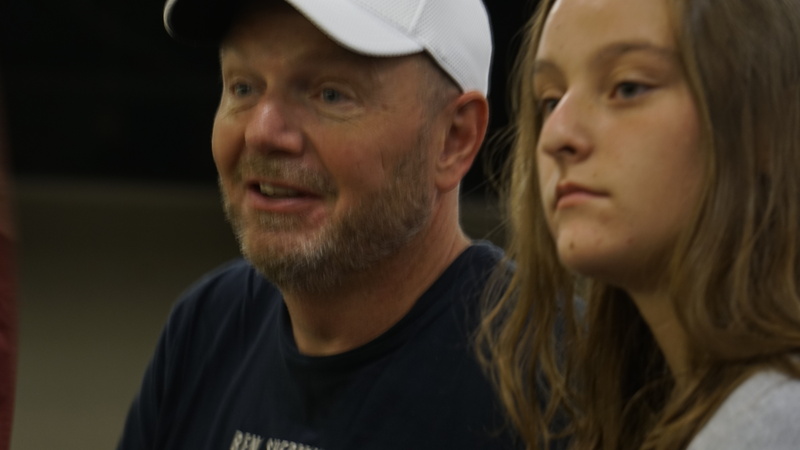 The success of the team is often measured by podium finishes but those of us who compete understand that the value of intangibles far outweigh any podium placement in a healthy competitive environment which the AAU is continually emphasizing. Parents and family members pitched in to help with the myriad of logistics. 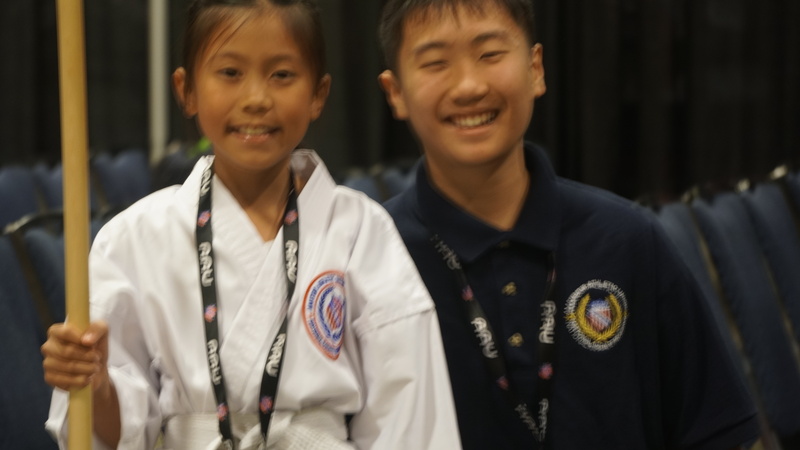 Brenna Lin, Tyler Lin, Kai Lin, Daniel Kwaipun, and Ethan Co did double duty as both competitors and assistant coaches. 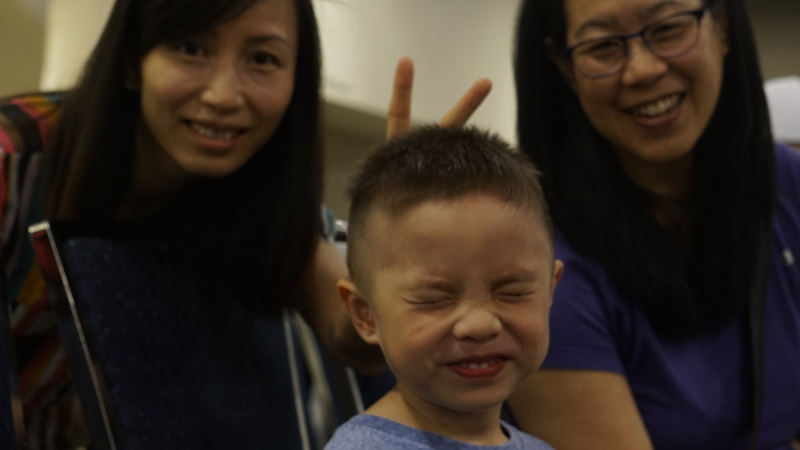 Parents came together to create positive experiences for the athletes. Stephanie Chin was clearly the backbone as she seemed to be always one step ahead of us. Knowing which athlete was next, and readying all the paperwork. Rob Chin and Elaine Truong spent hours organizing and picking up all team dinners. Darryl Jackson lugged all of the team’s bulky luggage to and from Florida. 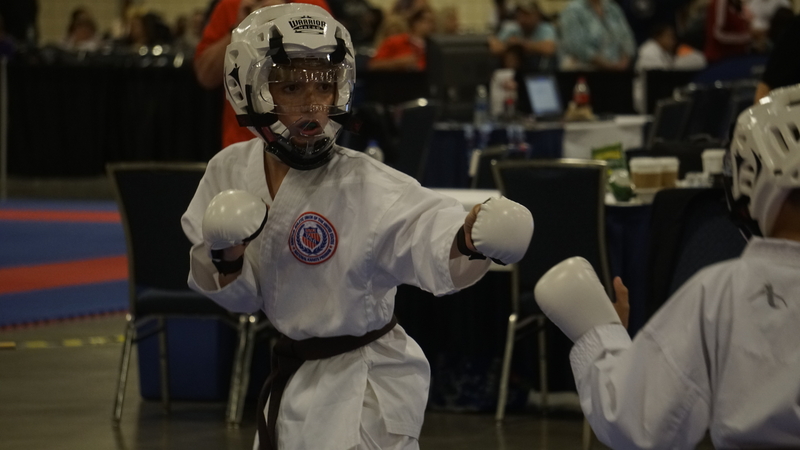 Tyler Quick who always had his focus mitts ready to go whenever the athletes need it. Mary Lin and Rachel Lam who always seemed to carry their TARDIS of a purse which had everything from needle and thread to first aid equipment. Stan Yamashita who created the team’s wonderful video and acted and as photographer. Of course, Joe, Kenneth, Jimmy, Bryan, Tracey, Ardell, Helen, and Charlene were of remarkable support who made sure everything went without a hitch. 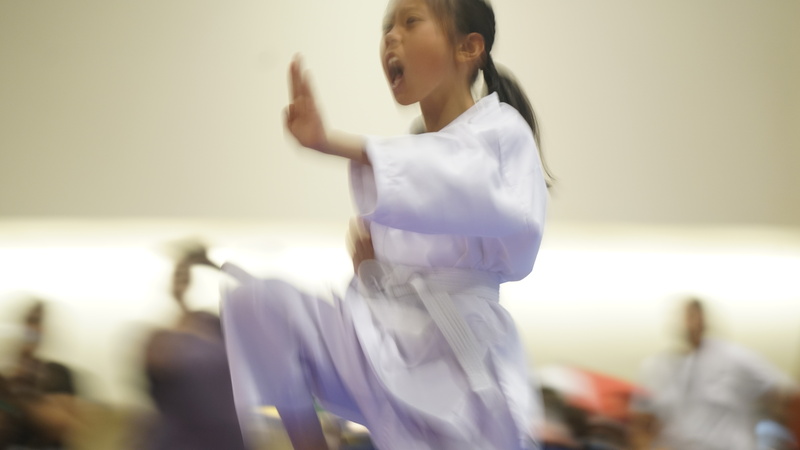 When we first began our sport karate team just a few years ago, there were only 5 competitors. Now there are almost 20 athletes ranging from 7 to over 50 years old. Our competitive season officially begins in January and ends in August with a few practice events in the fall. These events are all over southern Ontario, northern New York state, and Ft. Lauderdale, Florida. This becomes a challenge logistically and financially for families who wish to provide the best available opportunities for their child. 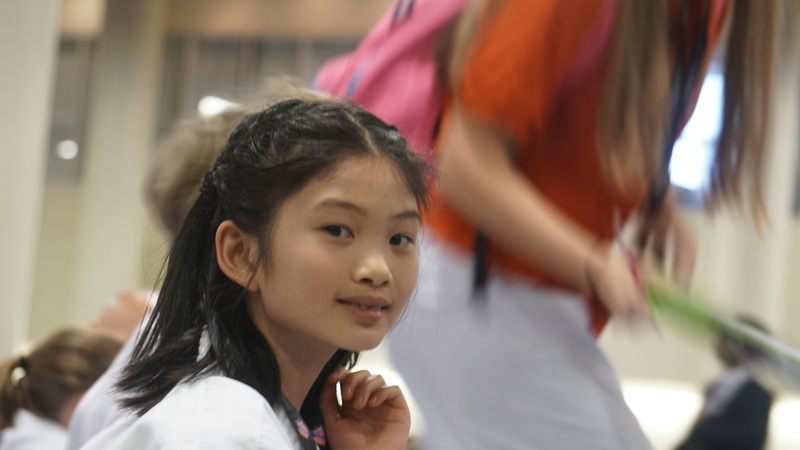 Logistics are taken care of by all the parents who volunteer their time for fundraising, carpooling, feeding, and organizing all of the important details. Throughout the year, we have 3 fundraisers to help with travel expenses. 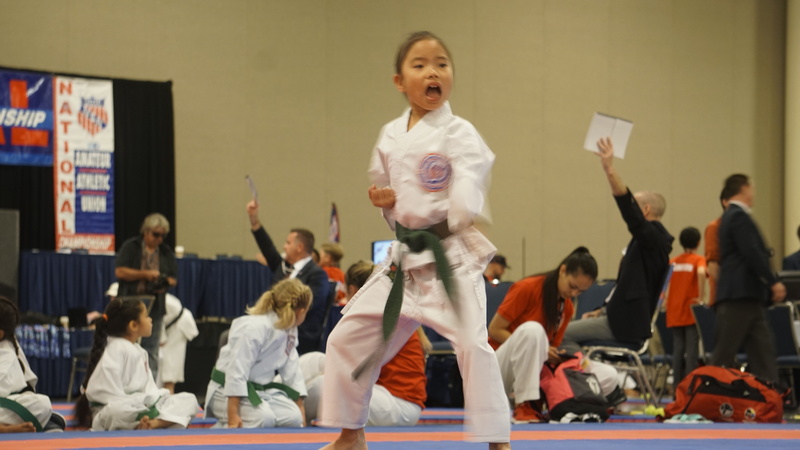 In November there is an annual amateur karate tournament. 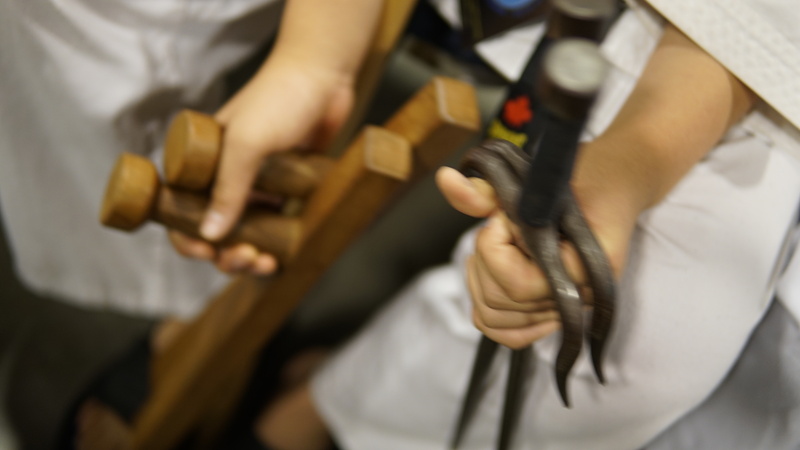 Our athletes have a show and a banquet (Kagami Biraki) every April. Finally, every August, we raise additional funds with our annual car wash.
On April 8th, 2018, our athletes showed off their skills in front of grandparents, aunts, uncles, cousins, siblings, and friends. In total, over 150 people joined in an afternoon of good fun and family entertainment. 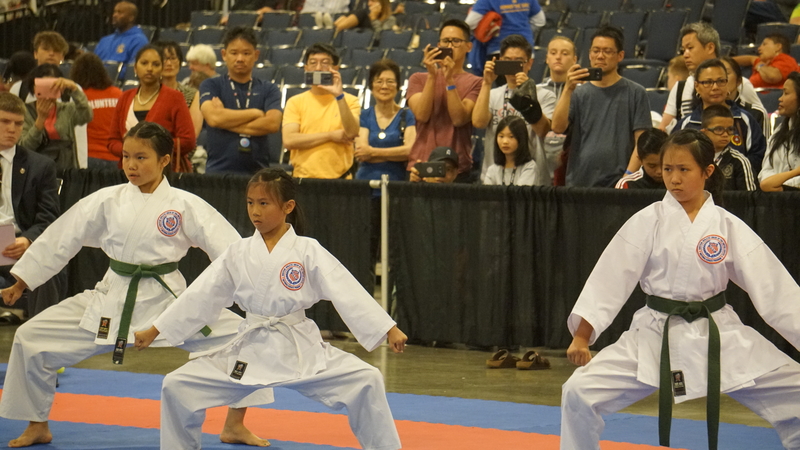 Athletes performed both traditional and competitive curriculum like superstars. Thanks to all of our donors like Dr. Kevin Brown and Associates at mydentalhome.com and RMT Rashpal Sahota who helped to raise some extra valuable funds through our raffle ticket sales. To be on a team means trusting everyone on the team without a doubt. Even if you have not seen them for a while you never forget the trust you once built. It also means that you never break the trust and friendship no matter how long you were apart or separated. Just like when I was separated from my team for a couple of months. 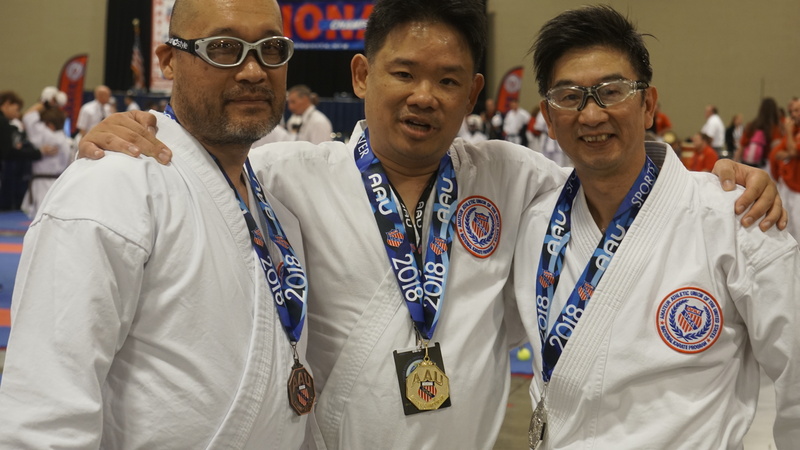 Every time I practiced or even thought about karate, I would remember all the great people and the great times we had together. That is why I went to the competition in Albany, New York [on March 3rd, 2018]. 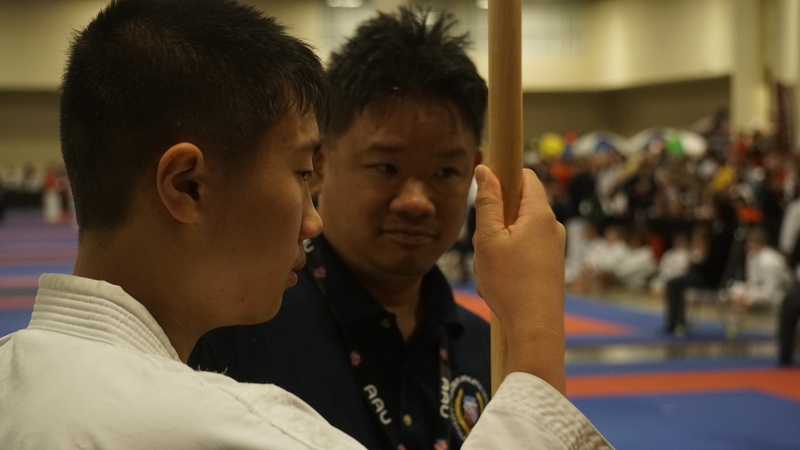 Even though I was practicing privately, I hadn’t practiced at the dojo and with a team in months. I really missed the team aspect of the sport. Despite the fact that I lost the one match I competed in, it was a great experience. It was very rewarding watching the people on my team win so many medals and do their personal best. I also learned that there was a lot I could improve on. My teammates had clearly been practicing a lot together and it showed. The last time I competed I had practiced just as much and I noticed a difference. So the lesson this experience taught me is that hard work really does pay off and that there is no substitute for a solid team. So in the end I do not consider it a loss at all but rather a valuable learning experience in the company of some good people. 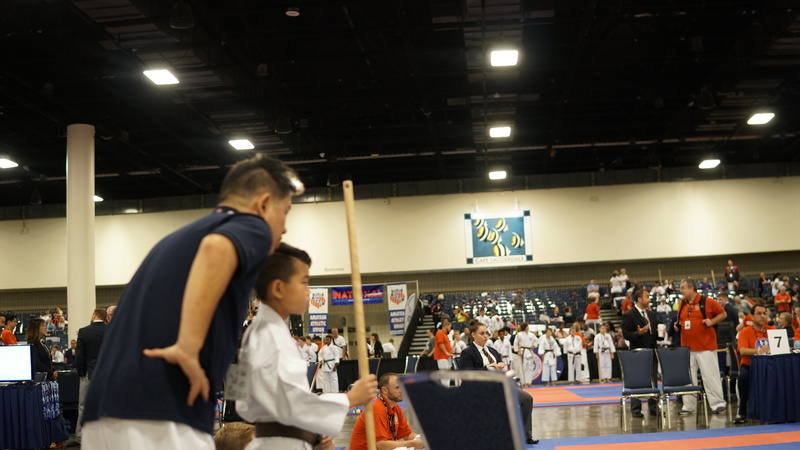 At just 11 years old, Tiago has been with NOX Dojo what seems like forever. It was a sad day for all of us when we discovered that he was moving away. 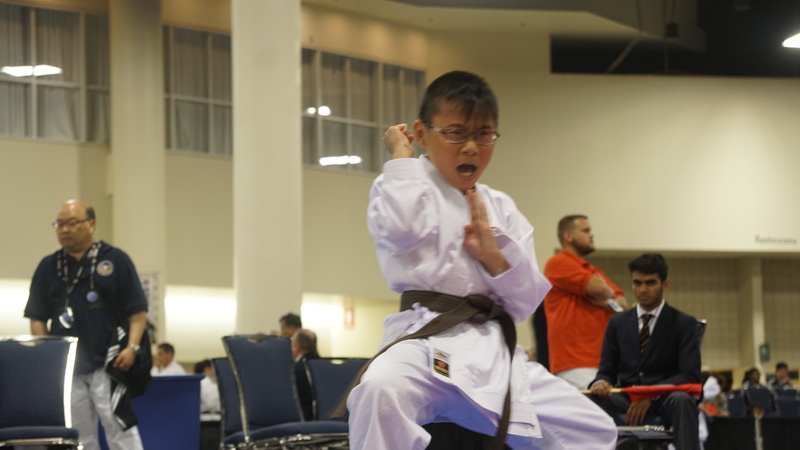 As a part of our sport karate team, he truly came into his own in the 2017 season where he made podium in both the AAU Nationals and Jr. Olympics. Mom and Dad are extremely supportive which clearly contributes to his success. When we heard that he truly wanted to make the effort for Albany, the team embraced the opportunity. 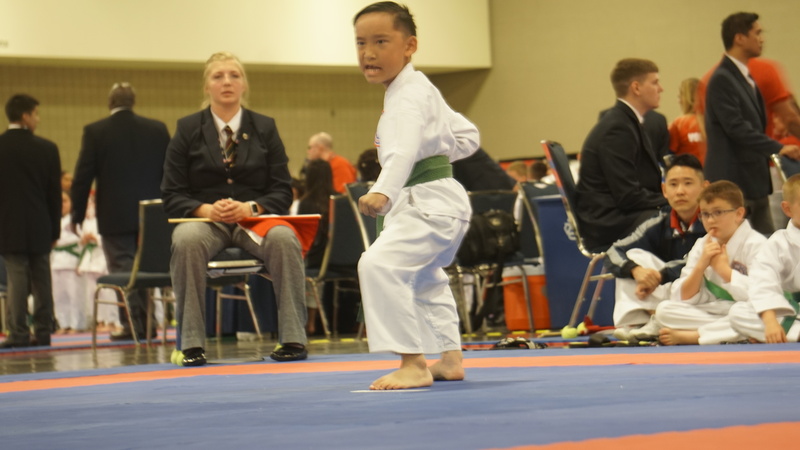 Sporting gorgeous red hair, he sets the mat on fire when he competes in kumite. Never one to shy away from a challenge, his fearless spirit inspires us. Keep up the great work Tiago and we hope to see you more often.